I mentioned before that I have recently REALLY gotten into anime. It's kind of taken up about 70% of my TV watching. Yes, there's a lot of crap out there, but there are some really good shows that are surprisingly deep. In fact, I have so much to say about them, that I think I'm going to do a few TV Tuesdays about anime, doing two shows each time. Today I'll feature two of the more popular series. These shows take place in an alternate Germany-like world where the elite are "Alchemists." I love this series because alchemy is treated like a science, even though it looks like magic. Two brothers have used alchemy to try and bring their mother back to life. However, it is forbidden to use alchemy on humans, and the consequences of their actions are that the alchemy they use ends up taking away Edward's arm and leg, and Alphonse's entire body. In order to save him, Edward must bind Alphonse's soul to a suit of armor. The rest of the show details their journey to both regain their original bodies, and stop a sinister plot that could destroy the world. And yeah, it deserves to sound that dramatic. 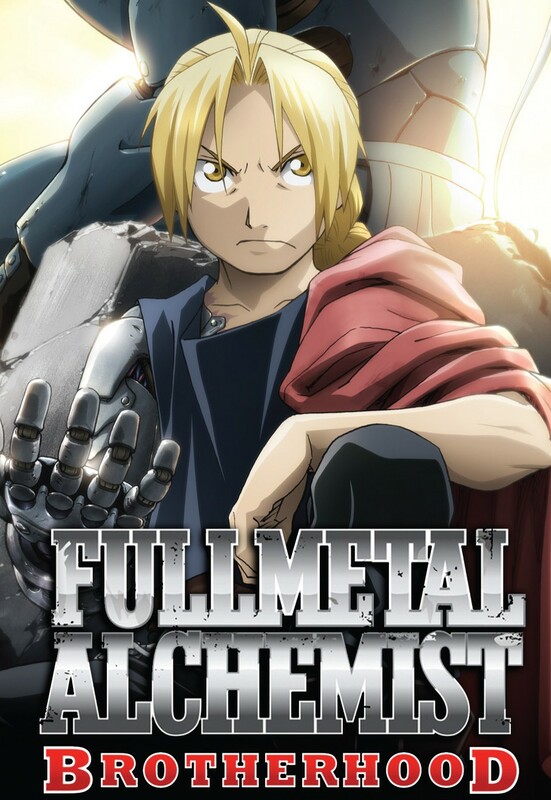 These shows are interesting because there are two series (Fullmetal Alchemist, and Fullmetal Alchemist: Brotherhood) that are not connected to each other. They are in that they have the same characters, and the first few episodes are the same, but they tell different stories. The first series (FMA) was produced while the manga (most animes are based off of a manga) was still being released. 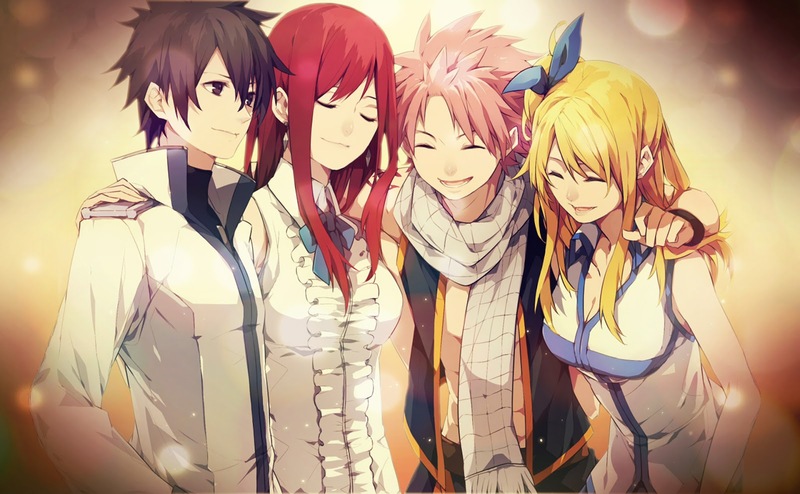 Eventually it surpassed the manga, and the story in the show and the story in the manga ended up diverging greatly. exactly on the manga story. The result was Fullmetal Alchemist: Brotherhood. Both of these series are FANTASTIC. I would say that I like Brotherhood more than the original, but there are certain things about the original that I like more. You definitely need to watch the first one first. Because if you watch it after Brotherhood, you'll probably be disappointed in it. This series made me laugh, cry, and scream. I'm fairly certain it is one of my favorite TV shows of all time, not just one of my favorite animes. In this world, magic is not science. It's pure magic. This show take's place in a world where anyone can become a "wizard." And if you become a wizard, it is expected that you will join a guild. The guilds provide a fun atmosphere of equals, as well as giving you the opportunity to take on jobs and earn a living as a wizard. 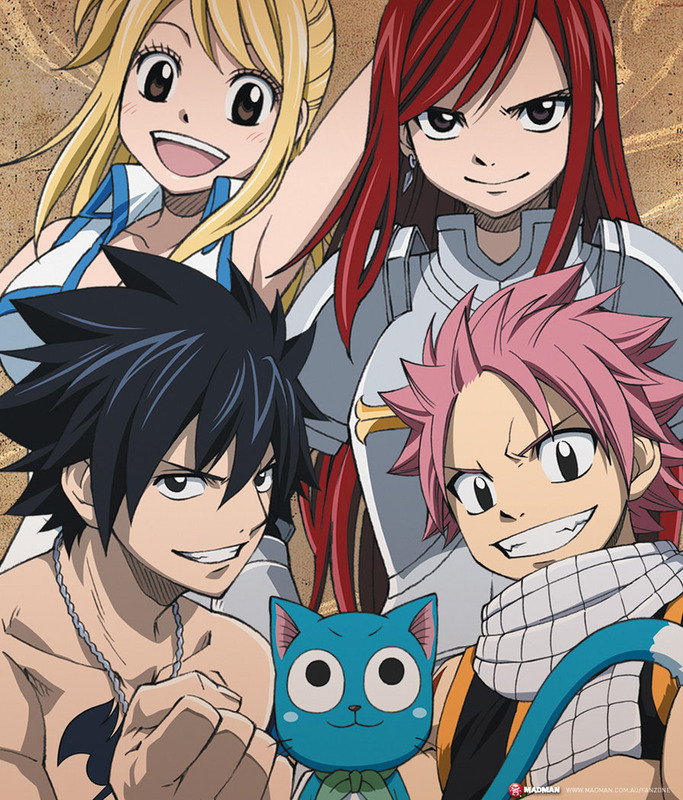 This show follows the members of the guild Fairy Tail (that's not a misspelling). This guild is known for extremely powerful wizards who are... not very subtle. If you ask a Fairy Tail wizard to find out who has been stealing radishes from your garden, chances are they'll burn down your entire city. But this motley crew is extremely lovable. This series is what I call "happy fun times." If ever I need a show to pick me up, I watch this one. Because despite what may happen, the characters are always extremely loyal and extremely ridiculous. Even when this show makes me cry, I feel like I'm happy. This show is deep and intense at times, but I never really feel like it's dark. Each storyline is probably 12 episodes long. The dub (meaning the English version) of this show is only about 40-50 episodes long. However, the original japanese version is something like 200 episodes long. Don't feel overwhelmed by that (it's not unheard of for an anime to get over 100 episodes, since they are based on books), if you just want to watch a few arcs, you totally can. And I don't like to watch the shows in Japanese, so I've only seen the English ones. Of all the anime I've watched, this is the world that I would actually want to live in. In fact, of any book I've read this is probably the world I'd want to live in. It's just that fun. I adore FMA and FMA:B. From what I can remember, FMA:B kind of rushed through the earlier parts of the story, so I think if you haven't read the manga, the original - at least the episodes before it really starts deviating - is a good way to get familiar with the characters and the world. It's been a long time since I've watched either, though: a rewatch (of both) is definitely on my list, as well as a reread (and I need to get the last four volumes). But it's such a good story, and I love the portrayal of alchemy and how scientific it is. Also, some awesome female characters (Hawkeye and Olivier are favourites of mine). I'm a sub fan, unless I'm really tired or there's something bothersome about the Japanese voices. Although it also depends on which I watch first; if the dub's on Hulu and not the sub, then I'll get used to the English voices and watching the sub becomes weird. I do enjoy watching dubs with subtitles, though; the translations don't always match up, and sometimes they really don't match up. *nod* FMA:B definitely rushes through the earlier parts. Presumably because they think you've already watched FMA. That's why I STRONGLY recommend that people watch FMA first. In fact, I might punch someone who watches B without watching the original. I'll have to check out FMA, since it's on Netflix. I've heard a lot of others talk about the series as well, seems like an anime staple. I went through a major anime phase. Sailor Moon, Naruto, InuYasha, Deathnote, and FMA were DEVOURED. I haven't watched Brotherhood, unfortunately, but it's on my list of shows to start! I don't really watch action themed anime much, but FMA and Fairy Tail both sound interesting! My favorite anime I've watched so far is Kimi Ni Todoke, though I have not finished it yet. It's only subbed though. I know a lot of people think this is horrible, but I like the dub versions of them so much better. It's like I just can't focus on them otherwise. Kimi is pretty much the first non-dubbed anime I've been able to get through a whole episode of. 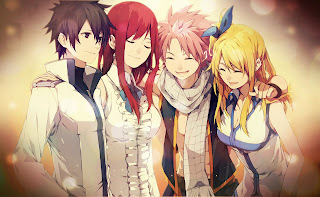 I think it's cool you are going to blog about anime once in awhile! Alexander Gordon Smith Blog Tour!